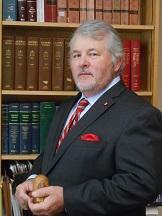 Melvin C. Belli has practiced law for over 30 years and has a wide range of experience. He has handled cases across the country, from minor auto collision cases to mass tort actions involving drugs and defective medical devices. He has experience in dealing with everything from soft tissue injuries to the tragic loss of a loved one. He was trained by one of the most notable lawyers of the 20th century: his father Melvin M. Belli. The elder Belli was called “the King of Torts” for his groundbreaking work in personal injury actions. Melvin C. Belli continues the legacy, using innovative and cutting-edge techniques which his father taught him and which he has since improved upon. Belli believes that in order to bring success to his clients, he must prepare every case as if it were going to trial. Mr. Belli has been honored by his peers by being elected to the Board of Governors of key personal injury groups such as the American Trial Lawyers Association (now the AAJ), the California Trial Lawyers Association (now the CAOC), and the San Francisco and Marin Trial Lawyer Associations. Mr. Belli has served as President of the Marin Trial Lawyers Association and he has won many awards for his tenacity in the courtroom. Mr. Belli has also done a significant amount of pro bono work to give back to the community that has given so much to him.